Here is another easy and fast meal for those nights when you don’t have a lot of time to spend preparing meal. I chose to stew my chicken in a wonderful chipotle flavored broth until it was “fall apart” tender. I let it simmer for about 2 hours on the stove top. You could very easily put this in the slow cooker on low all day too. I brought a salted pot of water to a boil and added the chicken breasts and seasoning packet. I brought the pot down to a simmer and just let it go until most of the liquid was gone and the chicken fell apart. It took about 2 hours. 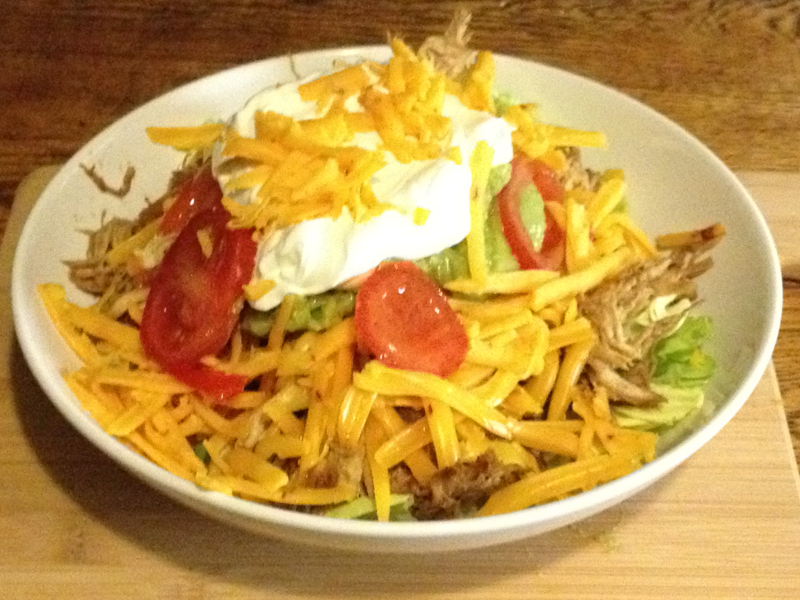 You can assemble your taco salad as you wish, there is no wrong way to do this. This dish is so delicious and low maintenance. It will serve 4 people. 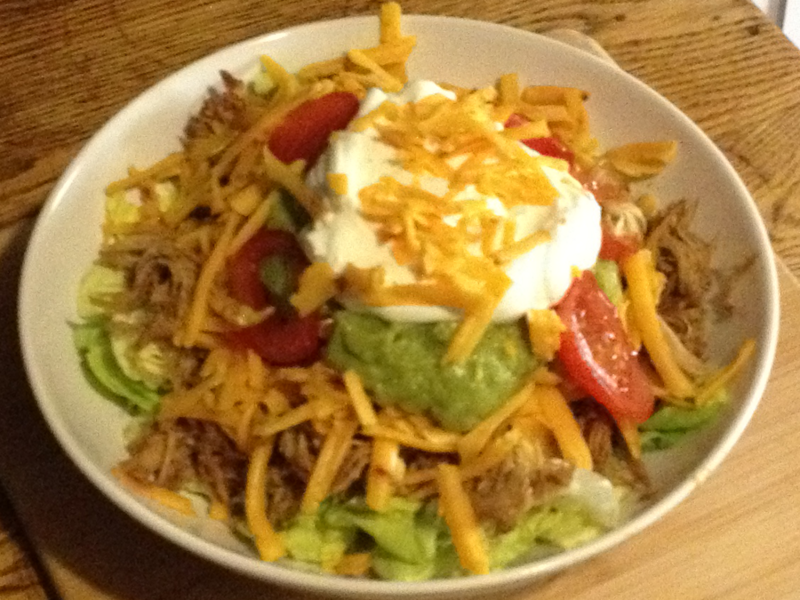 According to myfitnesspal.com it has 321 calories, 10g of carb, 13g of fat, and 41g of protein per serving. I am sure this can very wildly depending on your toppings and the size of your salad. This count was based on 1/4 of the finished chicken, 1 1/2 cups of fresh express sweet butter lettuce, 1 small chopped roma tomato, 1/2 cup of grated market pantry chipotle cheddar cheese, 2 tbs of guacamole, and 2 tbs of sour cream.